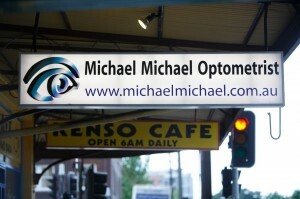 At Michael Michael Optometrist we believe in providing the best quality service. In order to maintain a high standard of service we do encourage customer feedback. If you have any questions or would like to make an enquiry, please contact us by e-mail or telephone. We look forward to seeing you soon.